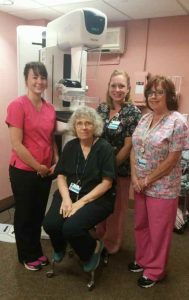 Bertrand Chaffee Hospital had a fantastic turnout for its Ribbon Cutting event on October 6 for 3D Mammography! Special thanks to our board members and foundation board members who were in attendance! We welcomed Assemblyman David DiPietro, Erie County, NY Legislator John Mills, Cattaraugus County Legislator Richard Helmich, Town of Concord Supervisor and BCH Board Chair Gary Eppolito, Town of Ashford Supervisor Charles Davis, Village of Springville Mayor William Krebs, and representatives from NYS Senator Patrick Gallivan’s office. Radiologist Anne Ehrlich, MD educated the many guests about the advantages of digital tomosynthesis and how thrilling it was to have this and other new technologies available at BCH. This was the first of several events we will have to mark projects funded through the New York State Department of Health and its Statewide Healthcare Facility Transformation Program. 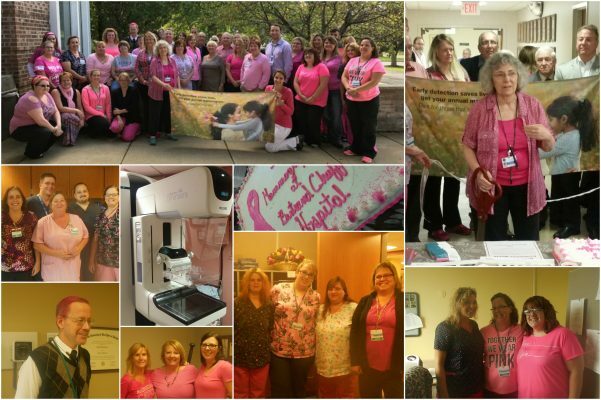 Thank you also to the Springville Area Chamber of Commerce, BCH and JBR staff who wore pink today, and our many friends in the community who inspire us to keep healthcare local! And also, the Cancer Services Program of Allegany and Cattaraugus Counties, which sent material and flyers to promote their important public health work.